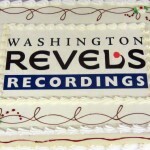 On June 8 at 2:00pm, Washington Revels Jubilee Voices rang the rafters and cheered the members and guests of Mount Bethel Baptist Church in located in historic Bloomingdale, a neighborhood in Washington, DC. 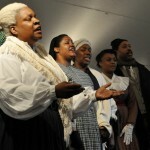 The group performed a lively set filled with spirituals and stirring words from historical figures such as Frederick Douglass and John Brown, while telling the story of how African Americans moved from slavery to freedom in the United States. 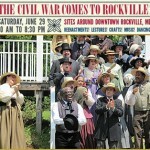 Washington Revels celebrates the history and culture of the Washington area and beyond through its performing ensembles. 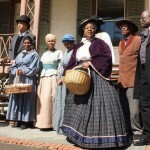 These groups revive and present traditional material, performing on stages, at historic sites, in museum galleries, during community festivals, and at many other venues. 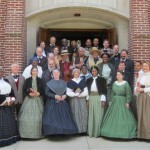 Featuring the talents of local performers, Voices of the Civil War performances feature music of the era, historical portrayals, speeches, letters and stories drawn from primary source material.